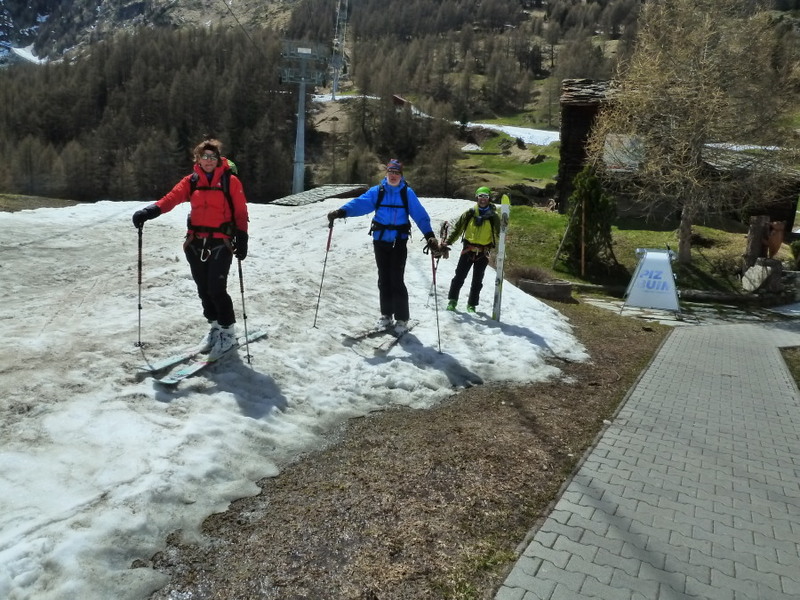 It's off-season for work at the moment, the short break between ski season and the start of the summer. 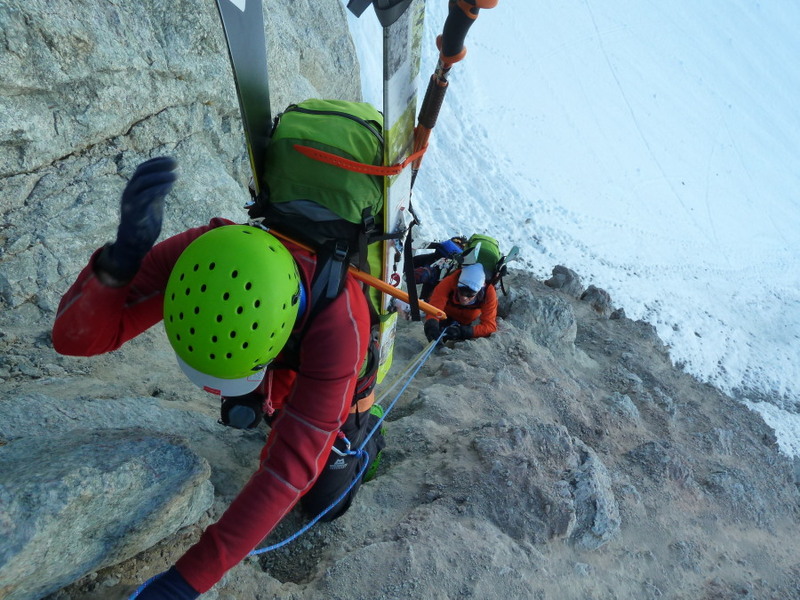 There are still good conditions in the mountains for skiing and mixed routes, but it's also perfect for rock climbing. Not too hot yet! I've just been in Finale Liguria for a few days. Here the rock climbing is excellent, food is cheap and tasty, and you can see the sea - always a novelty for Swiss-based people! 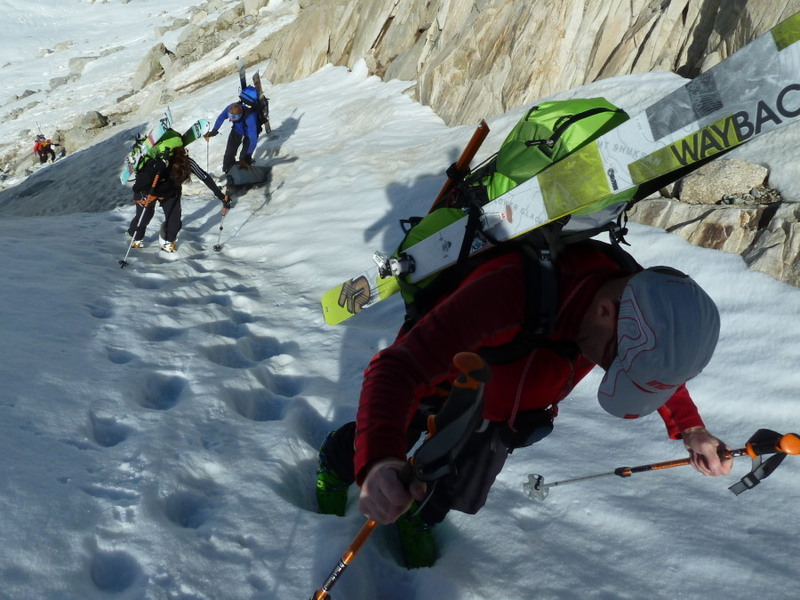 Great cliffs, short walk-ins for post-ski-touring legs, sunny-side for cloudy days, shade for sunny days. . 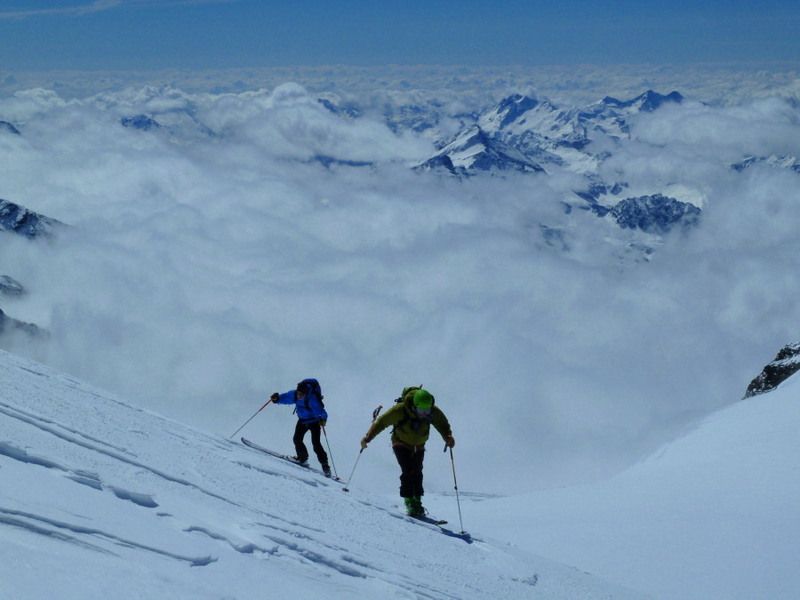 The Chamonix-Zermatt Haute Route is the Haute Route, and probably the world's most famous ski tour. Not surprising then that it can be busy. 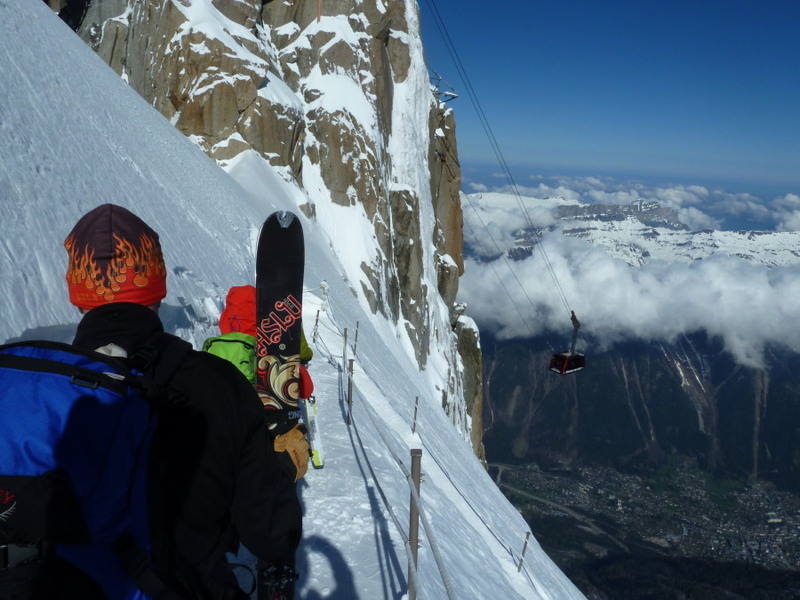 Many teams start on a sunday or Monday and have a week to reach Zermatt, which means every week a wave of skiers leave Chamonix. Our cunning plan was to leave a day or so later, and with a few extra days to play with we hoped to avoid the crowds and take in a few variations on the way. 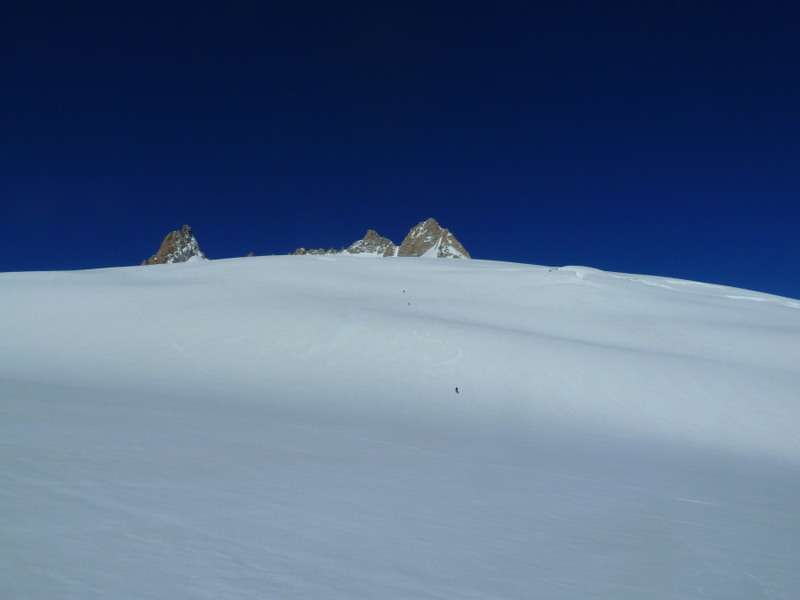 After a warm-up on closing day in Le Tour, we skied a very quiet Vallée Blanche on Tuesday, with a quick tour up to Helbronner on the way. 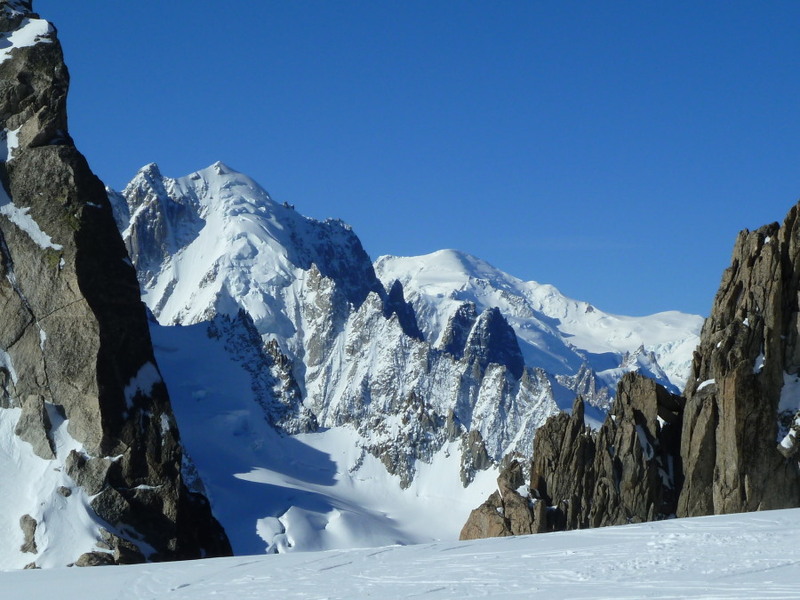 With perfect weather forecast, we set off for the Trient hut on Tuesday, the classic first stage of the Haute Route. 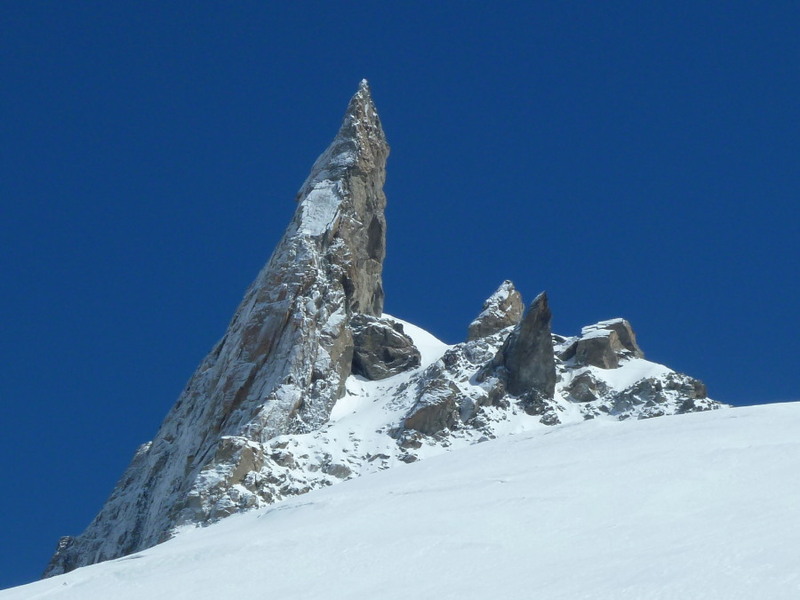 On Wednesday we back-tracked to the Aiguille du Tour while the rest of the hut headed on for Prafleuri. 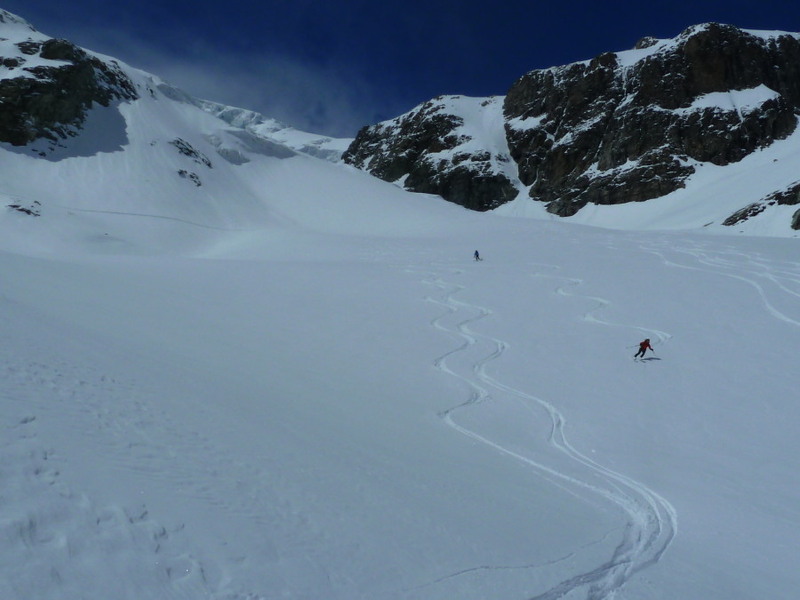 This gave us a great ski on spring snow down to the Col des Écandies, and a nicely softened descent from there to a tasty lunch in Champex. 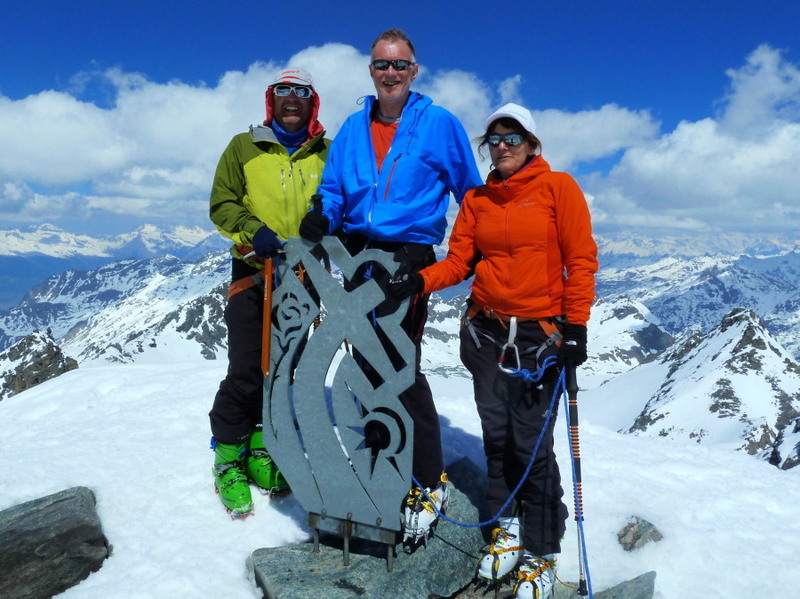 Thursday saw us on the first lift at Verbier for a peaceful skin round to the Rosablanche. Behind the Mont Fort wave and ahead of the Trient teams, we had the place more or less to ourselves. At Prafleuri we spent a very pleasant afternoon pondering the bathroom design! 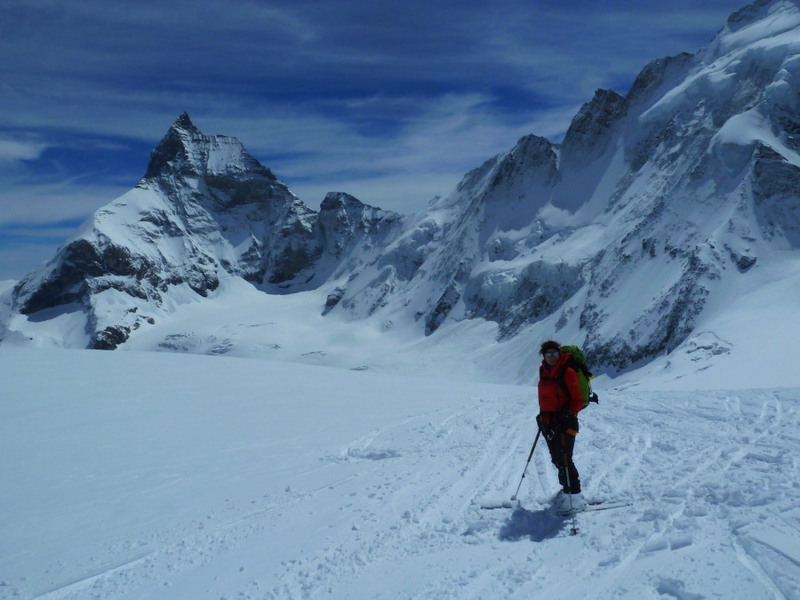 Next day there were few options at first other than to follow the classic traverse to the Dix hut, but then we broke off left to Arolla. Bad weather forecast for Saturday meant a night in the valley and a rest day was tempting! 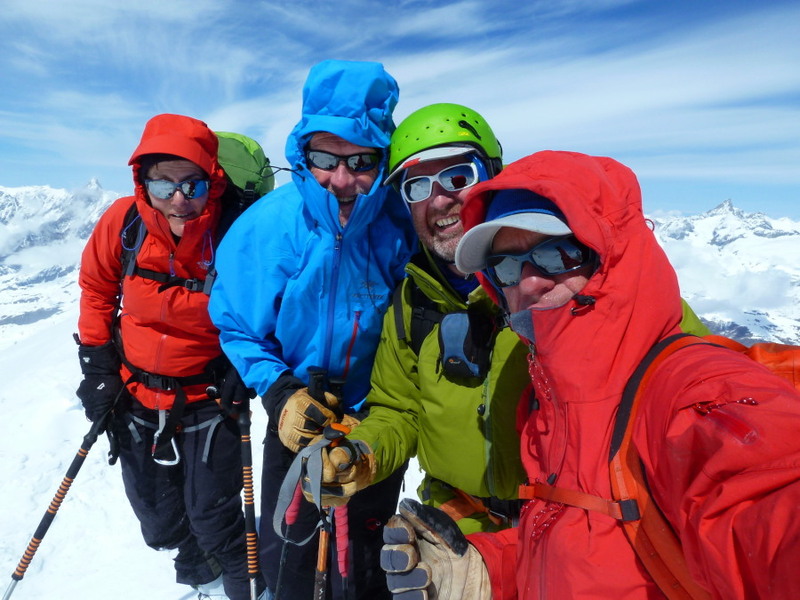 After a day tour in Arolla on Sunday we headed up to Vignettes on Monday only to be frustrated by terrible weather on Tuesday. 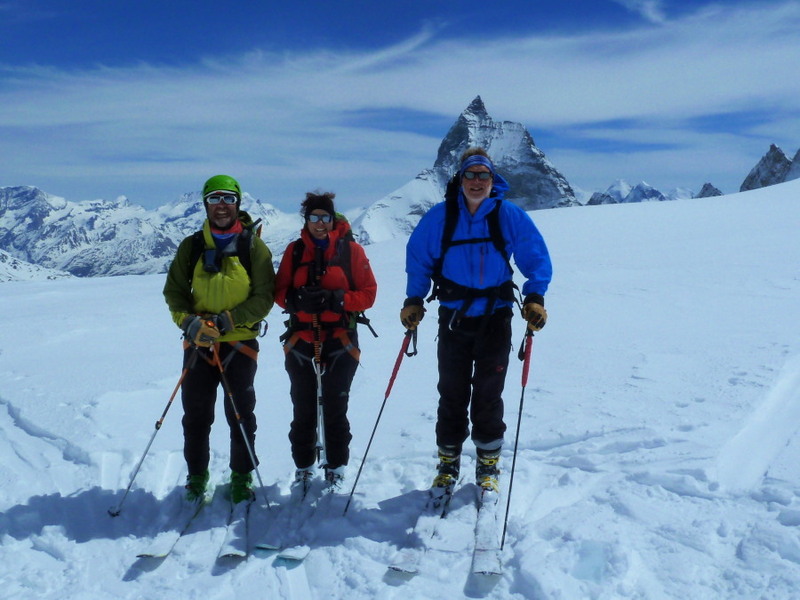 Relief when Wednesday dawned bright and clear for the big stage to Zermatt! A great finale and some fantastic skiing - fresh tracks in powder with a stunning view. Arriving in Zermatt we had a day to spare, a weather window and a 4000m peak to ski. 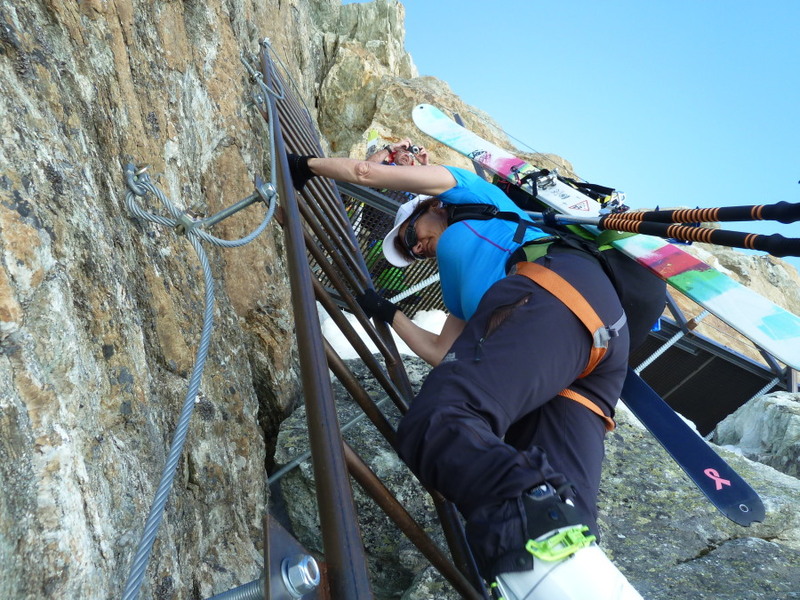 The Breithorn is quickly accessed from the Klein Matterhorn, a wallet-emptying but very rapid lift! 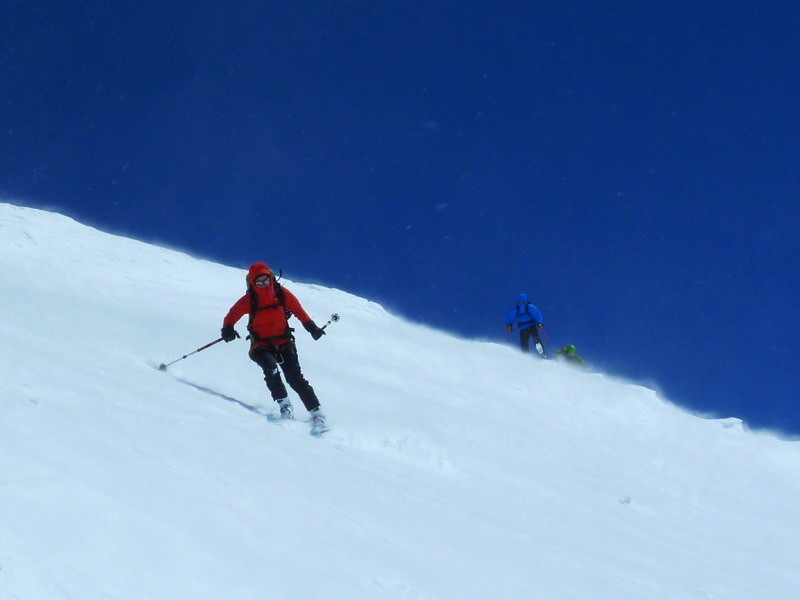 A great trip, and a very fine end to the ski season...although maybe it's not over yet!